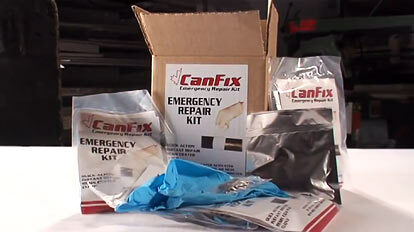 Emergency Repair Kit is a complete system for making emergency repairs to a wide variety of pipe materials. CanSeal is the heavy duty hatch sealing tape manufactured in Canada with extraordinary strength, adhesion and flexibility. 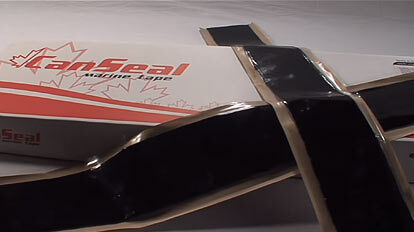 CanSeal is the heavy duty hatch sealing tape with extraordinary strength, adhesion and flexibility. 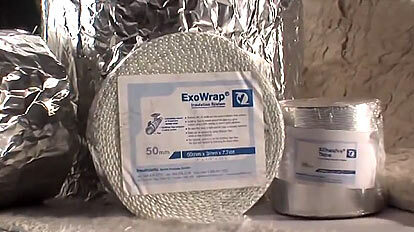 ExoWrap, the 'one-step' insulation system, is the quick and easy way to insulate high temperature surfaces in vessel engine rooms. 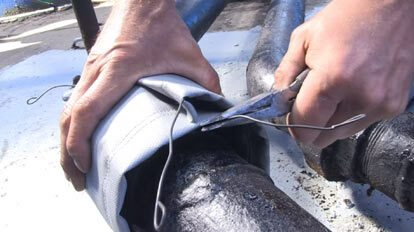 NoSpray Protection System is a type approved aluminum/glass cloth jacketing system designed to prevent the flammable spray of hot oil. NoSpray Shields are designed to contain the spray of hazardous liquids in vessel engine rooms, a cause of dangerous fires and loss of life and property. 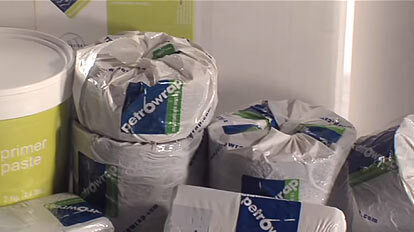 The PetroWrap Anti-Corrosion System has been developed for long term protection of metal surfaces that are underground, underwater, or exposed - even in the most severe environments. 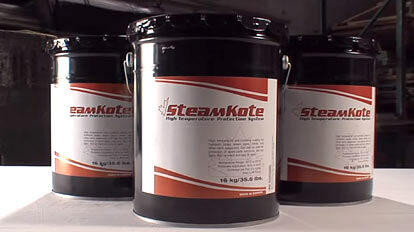 SteamKote HT Pipe Dressing is a high temperature coating formulated to protect against corrosion on steam pipes, valves and deck equipment.